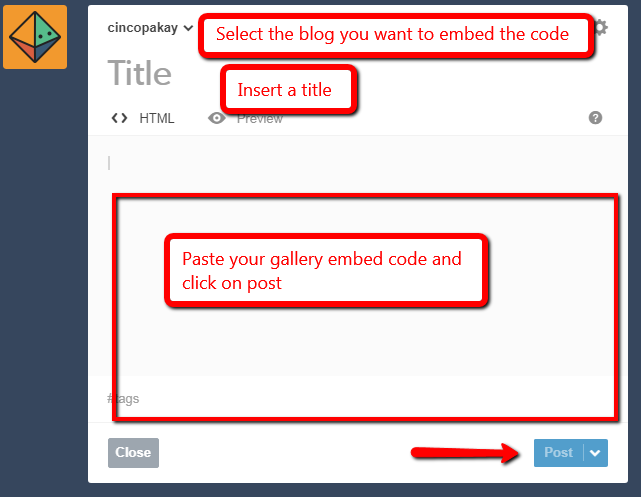 You can easily embed / post your Cincopa Gallery in tumblr blog. 2. On step 4 “Embed Your Gallery” page, choose “No JS Support”, set the iframe size to your desired size and copy the code for your gallery. 3. Go to your Tumblr dashboard. 4. Click your Tumblr blog’s name at the top of the Tumblr dashboard. Click “Customize” on the right side of the screen. 5. 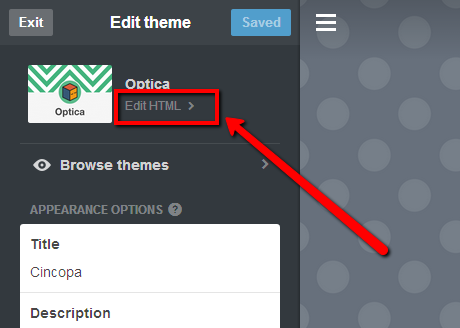 Click “Edit HTML” under your website theme. The screen will change to display your blog’s current HTML code. 6. Click anywhere in the code, based on where you want to add code, and press “Enter” to create a new line. Insert the gallery HTML code. 7. Click “Update Preview” to preview the changes in your blog’s Customize page. 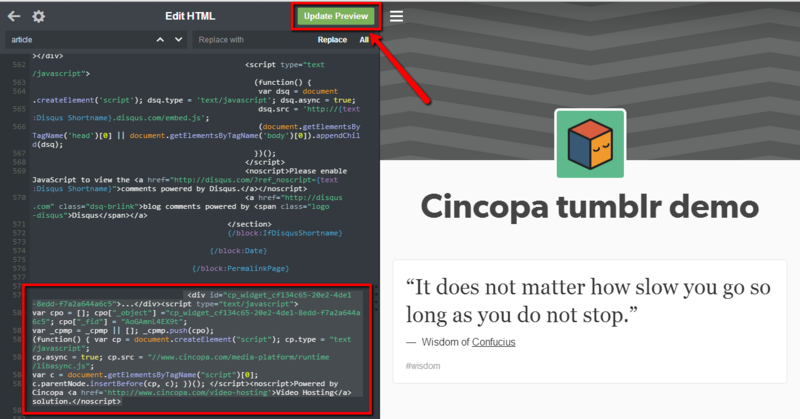 Click “Save” and “←” at the top of the screen to save your HTML changes to your TUMBL blog and go back to your Tumblr dashboard. You can also embed your gallery in a post by clicking on “Dashboard” icon, click on “Text” and select the blog you will like to post the gallery to. 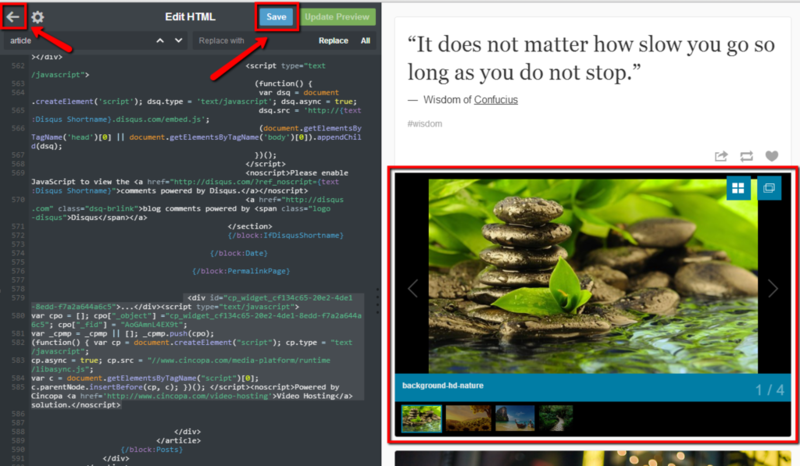 Insert a suitable title, and paste the gallery embed code you copied earlier. That’s it you are done embedding your gallery on your Tumblr blog.